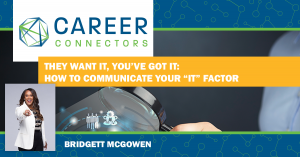 Are you fit to communicate your “it?” Excite, engage, uplift and inform with your personal “It” Factor in everything you say during job interviews. From what the box-checking recruiter actually wants, to navigating the hiring manager’s communication style, award-winning speaker Bridgett McGowen enthusiastically addressed our audience of in-transition professionals with a dynamic presentation loaded with tips on delivering your It Factor. When conducting candidate interviews, Bridgett said recruiters are looking for specifics: CAN you do the job? WILL you do the job? Not a deep dive into your skills but more of a checklist approach on your general experience. Show you’re the right preliminary fit because you’ve worked in similar environments. Your overall interview demeanor is extremely important. Have a superb and enthusiastic mindset. Your mindset is your It Factor. • Risktakers – need to see energy, bring it and look alive! • Your ability to synthesize is critical – when asked to “tell me about yourself,” focus on themes. Your response should be condensed. Start with your first role, then ascension into leadership, your current/last role. • Focus more on strengths than on weaknesses – limit harping on what is not working, show commitment to finding solutions and how you’re moving forward and getting better. • “I am the best person for this position” – sound as if you’re already on the team, give an idea of what life will be like with you on board. And know this, Bridgett is passionate here, everything you say “has to scream” you’re the right person for the position. Use “we” “our” and “us” so the hiring manager hears what life would be like with you already on the team. • What is the first problem you want me to solve? • What can I do to make your job easier? • What other questions can I answer to help you determine I am the perfect person for this position? They want it and YOU’VE GOT IT! Now harness that energy and land your perfect fit. • 5300 employees in 20 countries. Jessica Pierce thanked our keynote speaker, the hiring company representatives, valued partners and the many volunteers who make Career Connectors such a terrific resource for those in career transition. 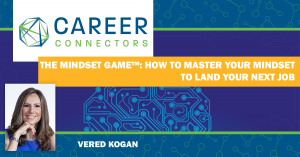 Up next, The MINDset Game™: How to Master Your Mindset to Land Your Next Jobpresented by Vered Kogan on April 4th at GCU. Watch your email for updates each Monday morning. Ever wish you could wave a magic wand and everyone would be respectful, civil, and accommodating? Gloria Petersen provided the tools just for that type of magic! Her dynamic presentations have inspired audiences for over three decades to handle professional and social situations with class and finesse. Gloria is a renowned Certified Protocol Professional and author of The Art of Professional Connections, a four-guidebook series with companion Subject Matter Expert (SME) training modules. The entire series covers strategies for greetings and interactions, in person and online networking, meeting over meals, and event planning. Gloria has also published articles and served as a contributing columnist for magazines, trade publications, and corporate newsletters. When it comes to Media, Gloria has hosted the FOX television 13-week series Image of Success; appeared on CNBC, FOX News, ABC News, CBS News, and NBC News; and even served as an etiquette judge which was televised on The Today Show. Chances are, we each may have caught a glimpse of her magical knowledge over the years without realizing the full spectrum of what this could do for our overall personal and professional interactions! Her clients range from Fortune 100 companies to emerging entrepreneurs. You can learn more about Gloria’s expertise at her website. Gloria taught our audience it is more important than ever to handle sticky situations with diplomacy, dignity, finesse, tact, and civility. Why? Because …. everyone’s basic need is to be respected, appreciated, and liked. Nor does anyone like to be embarrassed or to feel awkward. How is this done? For starters … take the first step in handling any situation or individual by employing the appropriate interaction tool with a positive and helpful attitude. Remember: You are the only person in control of YOU! Aim to set the better example, always! Renee has been with Vanguard almost 20 years and loves the company and culture. Renee is originally from Seattle, WA, but doesn’t miss the cloudy weather at all and has been in AZ for decades, so she considers herself a native! Renee helps Vanguard fill opportunities in their individual and institutional investor divisions in the Scottsdale office. Vanguard started in 1975 by founder John Bogle, who recently passed in January 2019 at age 89. What began as a company with 11 funds has now grown to an even larger size company with over 400 funds – talk about impressive! Vanguard’s mission is to give their all and take a stand for all investors, ensuring Vanguard is helping investors get their dreams ultimately. The Scottsdale office debuted in 1994 and today consists of over 3300 employees with lucrative benefits, such as a 37-hour work week, work life integration, community involvement via volunteering, a volunteer day off annually, matching 401k at 4%, healthcare coverage, anywhere from 18-23 paid days off yearly, tuition reimbursement, student loan payoffs, and more! There are various opportunities at Vanguard. If you are new to the industry or experienced, there are plenty of opportunities and continued growth. Check the opportunities out at HERE! Jeff has been with the USAA team since 2008, starting as a Senior Fitness Specialist with the Wellness Team and joining the campus HR team November 2017. Jeff grew up in Lewiston, NY, just outside Niagara Falls, earned his bachelor’s and master’s in Buffalo NY and then ventured to AZ. He is now the lead of the Phoenix campus diversity and inclusion team, helps support on-campus and external branding, and is a part of development events in the Phoenix area. USAA’s history dates back almost 100 years to 1922. Every decision and action begins and ends with their mission statement, which revolves around facilitating the security of its members, associates, and their families through a full range of competitive financial products and services. Products and services include, but are not limited to: banking, investments, property and life insurance, and financial advice. The Phoenix campus debuted in 2000 and has a Starbucks on campus, which Jeff indicated is highly popular and very necessary! There are relaxation rooms for employees to enjoy during downtime to recharge, energize areas, and more. Perks and benefits include 8% match on 401k, a 24/7 fitness center, potential for performance based bonuses, wellness programs, education assistance, two volunteer days annually, and maternity/paternity paid leave, to name just a few. USAA has over 12 million members, 33,000 employees nationwide, and 4800 at their Phoenix campus, which continues to grow. Current openings include customer service, insurance, banking, and IT software developing. Check out opportunities HERE! Jessica provided additional resources and closing comments. Resources such as the DISC assessment, Event Recap blogs, and Professional Portraits are available on Career Connectors post event to follow along and encompass more. Big shout out and thanks to Highlands Church for lending their beautiful facility for our event and volunteers for helping with setup, photographs, financial counseling, LinkedIn coaching, and more! Known and appreciated by thousands of engaged and sometimes exhausted Executives and entrepreneurs as the dream leader for business. Loretta Love Huff helps people and teams exceed their dreams. Loretta guides her clients to unleash their inner fear, influence and integrity to produce results that otherwise would not have been attained. Loretta has made several appearances on the local Fox 10 morning new show, many radio stations across the country, featured in many business publications like NY times, AZ Republic, Wall Street journal, Black Enterprise, Phoenix Business Journal, Arizona Women and Working Mothers magazine. She is the author of two books, which you will see up here; Leadership without Limits Inspiring the Best in Yourself, your people and your Organization, plus also 6 Keys for Dissolving Disputes when “Off their heads! Won’t work (find this and more on her website). She is also the creator of Sleep, Leap, Reap the bamboo approach to courageous leadership and outrageous growth, a consulting process that generates new revenue sources, improves productivity and increases profit margins for professional service firms and service based businesses. Prior to that, she worked as a Senior Executive in Leadership roles at Fortune 500 Companies such as DreamWorks, Apple, Sega of America (SEGA), Bank of America, Sears and Kraft Foods (Kraft Heinz Company). She holds a BS in Psychology from Howard University and MBA in Finance from the University of Chicago. Loretta stands ready to shine a light on your path to higher productivity and profits. We are honored to have her here today. Please help me welcome Loretta Love Huff. She looks forward to talking to each of us at the end of this session and learning more about you. Helping you exhibit your talent and skills as you move through the employment process and working with companies, so you can accomplish all the great goals that you set. Why would you want to bother to reinvent yourself? If you’re in transition right now, you are probably thinking I need to reinvent, I need to do something new, I need to find a new job. There is an example of someone who left a company and started a business and started earning a lot more money and feeling freer, because she was her own boss. There are a lot of upsides to it. There are reinventions that are happening all around the world. You have probably noticed some. When you are thinking of reinvented yourself it can fell kind of scary, feels like you are walking on the edge of the world you have never known. It is a bit terrifying at times, but there are upsides to doing that. It is possible you will discover courage that you maybe never thought you had. You will feel empowered, freer, more confident and capable of doing things. Growing up Loretta was very nervous, shy and timid as a kid. She would rather read then play with others. First job at Sears often in staff meetings, she would have a good idea and she would analyze in her mind. By time she got an idea outlined internally, someone else would say it. She always sensed she was intended for bigger things. She had to face her fears, step out of her shell or she would not progress as she hoped. At Sears, they had a tradition where someone would give a speech and presentation when someone was leaving. One of her other fellow team members, was a guy who could present without any preparation. It was one of her staff who had been there forever, so she had to plan what she was going to deliver. She was nervous and scared, she had to overcome her mindset. She practiced and prepared. She delivered it and many told her what a great job she did. My Vision and what she is aiming for: we all have our own unique gifts to share. Companies that honor and embrace those gifts have happy and productive workplaces. How do you make a transition from feeling like you are out on a hammock? It is about expressing your leadership skills and building confidence. In your mind, you are trapped by your fears and beliefs, so you may not take the chances that you need to take to have the life you want to have. Reinvention is easier then you think. Account(able) – having someone to hold you accountable is key. The DEAR dynamic ™: A basic or dynamic force, especially one that motivates, affects development, or stability. Desire – what do you desire? Emotion – feelings, think that will make you happy, so that you can make better decision. Allow – Let’s make something happen! Result – sometimes you need to create the environment to help you get results. The Directors: usually in control, in charge and may be scary. They accept challenges, are strong willed and impatient, but take quick action. The Critics: cautious, analytical, concerned, fear of making mistakes. They are orderly, quality conscious and plan ahead. The idol: people oriented, optimistic, recognition needed, expressive, outgoing, enthusiastic, and energizing. The Supporting Role: stable, predictable, deliberate, work in background, diplomatic, consistent, google listener, and sympathetic. ** Reflect the personality or traits so you can appeal to them and their needs. The benefit to him/her …. position to them as how it will help them? What will provide them a benefit? The benefit to him/her …. The benefit to him/her ….. Some companies promote the “Mushroom Management” theory. This is where you are kept in the dark and given a load of manure. Keep people informed by explaining policies and decisions by providing accurate feedback. Be candid about one’s own problems and limitations. Tell the truth. ii. Support – how can you be more available and approachable? Provide more support to help people with advice, coaching and support for teams and clients. iii. Respect – what can you do? How can you admire someone? Actively listen to the ideas and concerns of others. Delegate to develop your staff. iv. Fairness – be objective and impartial. Be quick to give credit and recognition to those who deserve it. v. Predictable and reliable – be consistent in daily affairs. Keep both expressed and implied promises. When you are these, then you can support others. vi. Competence – enhance your credibility by demonstrating good business sense, technical ability, and professionalism. Be the proactive problem solving partner. What do I need to learn? How can I improve (the company, function, leader etc)? • Ask, what does this mean for us? • What new potential risks are arising? • Are we keeping up with technology? • Who else needs to know this? Business management stewardship – translate insights from projects to recommendations for others to follow. “You could be our spiritual leader” BUT she was petrified. It was the start of another reinvention. Think of something YOU did, made you feel great when you KNEW you were a hero. Life begins at the end of your comfort zone. When we feel confident and believe in ourselves, then we take more chances to take actions. IE: Many celebrities talk about how they knew they were supposed to take action. A free conflict resolution tool for “Saving the Heads” for you included! Go to Get CC Talk and put in your basic information to download the slides and your gift today! As Loretta mentioned, you can take a FREE DISC Resource from us anytime. Pam has been with Medtronic for over 17 years now, starting 2001. She has worked for a few companies but can’t think of being anywhere else. Medtronic started in a garage back in 1949 for pacemakers. Back then, the electricity went out a lot and when it did it would impact (take down) anyone on one of those. They needed to come up with one that could be battery operated instead. The first implantable was in 1959. Technology has evolved as have their devices since. The therapies and solutions Medtronic provides improve lives. The offer therapies and solutions across our four business groups. Medtronic believes: people are the expertise to achieve their mission. Medtronic is driven by their Mission statement – which was created in 1960 and has never changed. They have received many workplace accolades annually. They offer comprehensive benefits – everything that everyone would want to offer. Their global presence: helping people in 350+ locations. They have 78 manufacturing plants one of which is here in Tempe. Roles available visit Medtronic Careers. Opportunities include Clinical Specialist, Manufacturing Engineer, Sales Representative, Equipment Engineer, Process Engineer, Assembler and more. Even though the jobs may list one location, they are welcoming to remote and virtual jobs regardless. Feel free to apply anyway if something fits you. Dexcom has been around for over 20 years, HQ in San Diego CA. In 2015 they launched the G5 device, which really pushed them in the marketplace. It was a game changer for the Type 1 and 2 Diabetes. The device can be on the arms or legs, then needle inserts in body and sends readings every 5 minutes. It can be sent to your smartphone. It is great technology and it doesn’t require the needle pricks either. Helps to better monitor levels. Leaders realized that they needed another location to grow the business. They landed here in Mesa. Opened here in March of 2017 with only 7 people. They had to get everything ready for FDA to come in and inspect. Then got green light and began manufacturing. 2018 was crazy for them for positive growth and lots of change. They have a wonderful team and accomplished a lot. Last year they also launched the G6 device too. They are now a 24×7 monitoring. They had about 10 events last year and brought in about 500+ people. Lots of growth in manufacturing, plus in the support and operations too. 2019 they have planned to bring in manufacturing the G6 here to Mesa. Has been in San Diego prior. Will refine their processes more. January 2020 will be launching another green room. Submit your resume online at Dexcom Careers for positions such as QA Engineer, Facilities Engineer, Manufacturing Supervisor, Cost Accountant, Process Analyst, Microbiologist, or Mechanical Engineer. WillisTowers is the leading global brokering company. They are basically a finance brokerage, working with many Fortune 5000 companies. They do a lot with insurance and healthcare too. They are working with Individual Marketplace heavily at present. Will train for this role, see the requirements provided. It really needs strong communication skills. They will need to get licensed, but the company will pay for this. They will also pay for the continuing education (CE) credits for the licenses needed. View all roles at Willis Towers Watson Careers, such as Director of Operations, Business Support Specialist, QA Specialist, Client Service Specialist, Technical Product Owner, Benefit Advisor, Software Test Engineer, Scrum Master, User Experience Designer and more! Vet Talks is a big event that is coming up on Thursday, March 7, 2019. It will be hosted onsite at University of Phoenix 4035 S. Riverpoint Parkway, Phoenix, Arizona 85040. See Miltary AZ . Due to Vet Talks we will not be doing an event next week. BestCompaniesAZ is proud to present our 5th Annual Veteran Business Networking and Career Event in conjunction with Birdies for the Brave™, Career Connectors and ASU Pat Tillman Veterans Center. This event brings together Arizona’s award-winning, military-friendly companies with veteran business professionals. This free, public event kicks off with registration and networking from 4-4:30 pm; VetTalks Presentations & Networking from 4:30-5:30 pm; continued networking with veteran employee resource groups and talent acquisition professionals from 5:30-7 pm. LIKEABILITY is the impression you make on the interviewer. It is more than a great response to a question. It is your ability to connect to another person in a way that is comfortable and pleasing to the other person. Be more successful in business & life. Get elected, promoted & rewarded more often than those less likeable. Close more sales & make more money. Secure better service providers, including doctors & other health care providers. Likeability is not magic. It’s not luck. It’s not a gift inherited by only a few anointed people. It is merely a skill set. Gallup values the benefit of likeability. The Gallup organization has conducted a personality factor poll prior to every presidential election since 1960. Only one of three factors – issues, party affiliation, and likeability, has been a consistent prognosticator of the final election result. Of course, the factor is likeability. 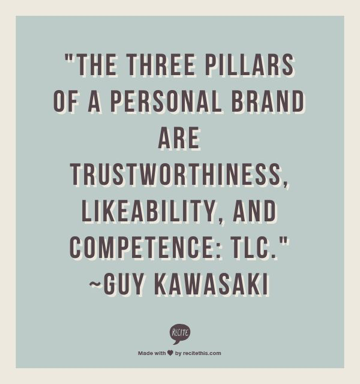 So how do you develop skills to be likeable or likeability? 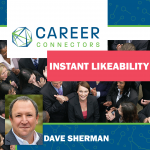 Dave was our “Likeable Guru” in sharing tips that open the door to Likeability. People thrive on being around others that are happy, enthusiastic and energetic. When you smile, you make yourself more approachable and smarter. Dave shared the story when he first began interviewing with a company that became an employer. After researching the company’s recent press releases, he discovered the organization was celebrating its 1-year anniversary for being in its new site. Dave brought a celebratory cake to his interview. The cake instantly made Dave likeable. When interviewing, be attentive. Listen to what others have to say. Ask lots of questions. Avoid interrupting. Biggest challenge is not knowing what to say. If you don’t have anything to offer. LISTEN! If you listen, you will learn something new. Establish a commonality between you and the person you are talking with. Ask questions such as where are you from. Discover ways you can be helpful to others. Have a service mentality. Be nice to everyone you come in contact with & leave a niceness legacy. You may have trouble being grateful but there is always room for gratitude. Since 1998, The Finders has been putting its personality & passion into every Tech, Finance and HR finding in Arizona. The Finders is committed to matching exceptional talent with the right company culture. In addition to assisting you in finding the right job, Finders recruiters are specialist in the job search and can be invaluable resources to you. Tech Finders: Full Stack Developer, Java Developer, .Net Developer, Dev Ops Engineer, Cyber Security Engineer, Technical Project Manager SQL DBA, Data Engineer, Sr Information Security Engineer, and Sr ETL Developer. HR Finders: HRIS Analyst-Contract, HR Manager, Compensation Analyst, Contract Recruiter, & HR Coordinator. Finance Finders: Senior Auditor, Sr Controller, Staff Accountant, A/P Analyst, Financial Analyst & A/R Specialist. If interested, please contact The Finders. Cognizant is a global solutions provider that provides a collaborative approach to strengthen teams and improve revenue streams as well operating efficiencies. Established in 1994 and headquarters in Teaneck, New Jersey; the organization has an employee population of 280,000 employees globally. Cognizant has been recognized for a number of achievements. The company offers a number of benefits. Frequently hired positions are business analyst, claims examiners, claims supervisors, managers, product managers, social media content specialist, technical analyst, and trainers. To apply go to the website. USAA’S mission is to facilitate the financial security of its members, associates, and their families through provision of a full range of highly competitive financial products and services. In so doing, USSA seeks to be the provider of choice for the military community. Military members are primary focus. Over 33,000 employees provide legendary service, quality products. Phoenix has over 4800 employees. Jobs include Customer Service, Insurance, Banking, Software Developers. Products include comprehensive financial services including banking, investments, property & life insurance & financial advice. Go to online website to apply. Jessica Pierce, Board of Directors, Career Connectors, closed the meeting by thanking Highlands Church & the volunteers. The next Career Connectors meeting will be in Gilbert on Tuesday, February 26, 2019 & features Loretta Love Huff, as speaker for the topic “Courageous Leadership, Outrageous Growth.” For additional information on this event & future events, please visit the Event Schedule.